Keto Coconut Flour Bread - Headbanger's Kitchen - Keto All The Way! Today we’re baking bread, coconut flour keto bread to be precise. I realize I’ve done many bread recipes and there are always people asking for alternative methods, sometimes it’s a different flour or sometimes it’s not having an oven or a microwave. So today we’re doing a loaf made out of coconut flour which will complete our trilogy of almond flour bread, peanut butter bread and now coconut flour bread. Ain’t no body got time to bake! Well if baking a whole loaf of bread is something you don’t have the time or inclination for then you can always use our almond flour mug bread or coconut flour mug bread recipe which is made in less than 2 minutes in the microwave. Though I will say this bread is pretty delicious and is worth baking a loaf on a Sunday so that you have bread for the rest of the week. Works great for sandwiches or even to make french toast. Now given that many folks don’t have the exact same ingredients I do, especially with things like the psyillium husk which varies across brands, there seem to be a few problem areas I would like to address. A few folks mentioned that their psyllium husk because too rigid and almost impossible to mix, in that case try using a blender to get everything incorporated together. However the best way to avoid any problems is perhaps to mix the dry psyillium husk in with the other ingredients, then add the hot water to that mixture and then blend in the eggs and the oil to it. I think this should solve all conceivable issues while making this bread. Macros are for 1 slice. Cut the loaf into 12 slices. Get this recipe on myfitnesspal. A gluten free, low carb bread that's soft and fluffy. Add the warm water to the psyillium husk and set aside. Add the psyillium husk to the eat mixture and beat well. Pour the mixture into a loaf tin lined with parchment paper and well greased up. Slice into 12 slices and serve. 170C – Thanks for pointing it out. I’ve added it to the recipe. That’s equivalent to 338 degrees Fahrenheit. I’m going to make this bread today, it looks yummy. It’s helpful in gluten free baking. Sahil— new to your site, I’m digging around and impressed with your work! Will recommend your music to my friends and especially my man. I usually replace xanthan with psyllium, and have left out the gums to remarkable results, here. I’ve yet to find a bread that rises and tastes good alone, as toast, and can as well as can be sliced thin enough to stand as a sandwich . And so grateful!! Rock on, beardsmobile! Can you provide any guidance when using Psyllium Husk Powder vs just Psyllium Husk, assume weight is obviously the same… but would you expect any difference ? The taste was great, texture “good”…. I think your on to a real winner here..
however it needs lift….. I think it the lift issue can be addressed and I know the challenges with that… but I think there are some options…. I did added baking powder etc. but that not quite doing the job….. I will do R&D into this…. Yours seem to raise “OK”, so not sure if the husk affected that… I did not think the husk affecting rise.. just bonding..? Strange, though, your naan bread recipe which uses the same psyllium husk (I assume) as this recipe turned out perfectly with me using 2 tbsp of psyllium husk powder for the required 2 tbsp of psyllium husk. What’s recommended for a less eggy taste? 5 eggs? Will that compromise the overall outcome of this recipe? Egg whites perhaps? I guess you can try using egg whites, maybe use 8 instead of 6 but honestly I feel add some herbs or something to mask the eggy taste. Thank you sir. I will play around with it and let you know how it turns out. I’ve just grown to not like eggs (at least by themselves) as much anymore while doing low carb/Keto eating. Add some yeast to the mix. It’s a hack, the yeast doesn’t activate but it is just a bread taste. What is the best way to store this bread after baking? In the fridge? Or will it be okay at room temperature in a bread box? Thanks! Do I need to use Psyllium Husk? Or can I leave it out? You can skip it. However that sort of springy texture comes from the husk but it will work none the less. Had to cook for 10 mins longer. Came out of the oven well risen with a golden crusty top. Left it to cool and when I went back it had collapsed 😥 Found it hard to tell if it was cooked enough, any tips on that ? Yeah it’s tough for me as well, it keeps varying and yeah it always falls. I just tried making this just now. Mine also deflated while it was cooling. I will try this technique next time. Thanks! I didnt have the xantham gum, but the bread still turned out great! Thankyou. Only a mild coconut flavour, moist, springy. Had a ham lettuce and tomato sandwhich. Great! Having been gluten free for three years, finding a recipe that makes a loaf that feels and acts like bread is a godsend! 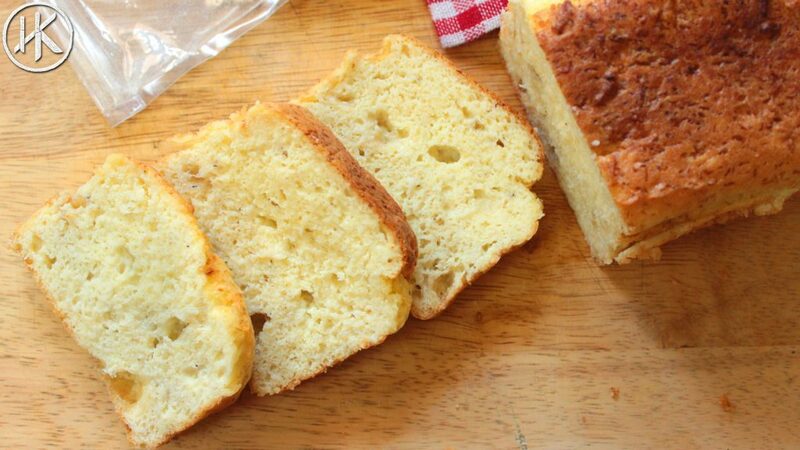 Amazing recipe that makes a gluten free loaf that slices and tastes like bread! Not too eggy and doesn’t crumble to bits! Will be making this every week! Looks nice! But unfortunately I do not take egg being vegetarian. 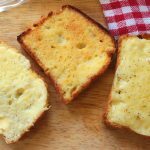 Any tips for eggless bread? No sir I have no substitute. Eggs are vegetarian btw, since they are unfertilized. Can I use butter instead of olive oil? Hey Sahil. I have been following your recipes for over 2 weeks now. Great work. Tried making this bread but was confused with the measurements. My half a cup coconut floor came to 30 Grams only while you had suggested 75 grams. I did increase it to 50 grams but the end product was too eggy and the the smell and taste was very strong on egg. I couldnt eat more than 2 slices without throwing out. Is there a way around for this? Title bit to break down the husk in the egg, may try adding it in differently next time. But enough of this jibber jabber…absolutely delicious….with smoked salmon and cream cheese!!!!! Looks great and am definitely going to try this. How long can i Keep this bread for? I’m in Australia where the temperature is variable, so I guess the fridge is the answer. If so how long will it last? About 10 days in the fridge easily. Instead of using hot water, use room temperature or colder water, that’s the first mistake. It helps the fiber incorporate better. If you’re using powder, like I was, here’s how to get it to mix into water and get the gelatinous mixture you’re looking for that will incorporate easily into the eggs. Start with a half cup of water in a bowl and simply use a teaspoon-sized spoon to scoop a slightly heaped lump into the water and stir. If little granules appear, that’s okay, stir vigorously enough that you don’t spill but will break apart the biggest chunks. Slice the smaller chunks with the side of the spoon to help them mix and just keep stirring. Stir it for like 3 or 4 minutes until the water starts to thicken. You’ll wind up with a gel that will mix easily into the eggs and will give you the springy, bread-like texture this bread is supposed to have. As an added hack, use NoSalt instead of salt for potassium instead of sodium, if you follow your electrolyte levels. My husband and kids really enjoyed this coconut bread with some ghee on it. They even requested to include some slices into their lunch boxes. I followed the recipe exactly but didn’t use the xanthan gum and added some fresh thyme that I had on hand. Thank you for this easy and delicious recipe. Hiya, I have just made this bread second time and the same problem happened. The bread has a nice shape and when I take it out of the oven after a few minutes it completely collapses. I mean really completely; it doesn’t have any spongy structure. Can you advise me, please? I’m not sure what the problem might be. I’ll bake this bread as soon as I receive my Psyillium Husk and Xanthan Gum. I will add some garlic and oregano and see how it tastes. I made the almond flour bread last Monday and it was good, but a little “sweet”, I want something more salty to put over some cheese and ham. Have made this bread many times now and it’s delicious and may be a bit too eggy as I used 6 extra large eggs. Psyllium Husk is an unusual ingredient to any Peleo or Keto bread, this recipe to me is really one of its kind. No problem with incorporating it with a stand up mixer. I enjoy this Brad a lot. I put in raisin, dry apricot, and some nuts too. Delicious everytime. Looking forward to trying out your other vege keto recipes. I tried to make this but I substituted Chia for the Xantham gum, and baking soda for the baking powder so I also added in vinegar in equal amount to the baking soda. The problem is that the loaf barely rose at all , one piece is about half as tall as a normal slice of wheat bread. Perhaps I mixed it too much after adding in the vinegar or I didn’t add enough vinegar? can u share some more vegetarian breakfast recipe? Please go through the website there are many vegetarian breakfast recipes like dosa, upma, poha, paneer bhurji etc etc. 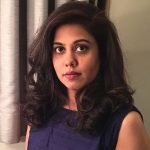 Hi Sahil – just starting my Keto journey.I am so glad i found your site as being here in India most of the Gora recipes dont cut it. I think you are amazing. Just a couple of questions – I will loose weight on your recipes right? Also where do you buy things like ‘Narla coconut flour? And is Xanthan Gum – where can i get that and if not available will it make a difference to the recipe. Please paste some eggless bread recipe as soon as you try it 🙂 Thanks a million. I hope you reply. Thanks Tina. I buy the Narla stuff from http://www.narlalife.com and Xanthan Gum is available on Amazon. Unfortunately I will not likely be doing any eggless bread recipes as it cannot be done and I don’t have an alternative to it. Hi Cherry, I’m sorry but I cannot make them without eggs. Also I don’t pander to pure vegetarian because eggs are vegetarian, the eggs we eat are not fertilized and hence are just an animal by product like milk and honey, hence making it vegetarian. Can I use psyllium husk powder instead of the husks? Sir I have couple of questions, it would be amazing if u give me answers. I got it from a herb shop (I don’t know if it’s a right translation) and the owner told me it does have a lot of fiber. so I think it can be it, but I’m not sure. and then, the Xanthan Gum. I’m not sure if I can find it, I can definitely search for it more, but lets say if I cant find it, can I skip it? or is there a simple substitute? I remember in one recipe you used lemon instead of tar tar cream which was amazing help, because I couldn’t find that either. please help me in this! It looks similar but I think you will need to grind it. Pysllium Husk just has different names in different countries. In India most people know it as Isabgol. You can make this recipe without both the husk and the gum it will still work, the bread might be a little more dense but will still be good. Cream of tartar can be substitute with a few drops of lemon or vinegar. For these 2 you can just skip them if you can’t get it. thanks for your answer sir, that was really helpful. but about grinding the seeds, most herb shops say if u grind it, it’ll become poisonous. it’s a really strong belief in here. I tried to search it in English Websites, but I found no evidence. some even say if u grind it, it will lose it’s effect. hopefully there will be no problem. i made this bread it was gud the one problem which i faced was its texture was not as smooth as in this recepie and smells a lot because of eggs , can we use vanilla extract in this recepie and how much. About 1/2 tsp of vanilla will be fine. Also get fresh eggs, that really helps with the smell. I made the recipe and baked for 50+ minutes because it wasn’t browning up, it caved in completely in the middle minutes after taking out of oven. 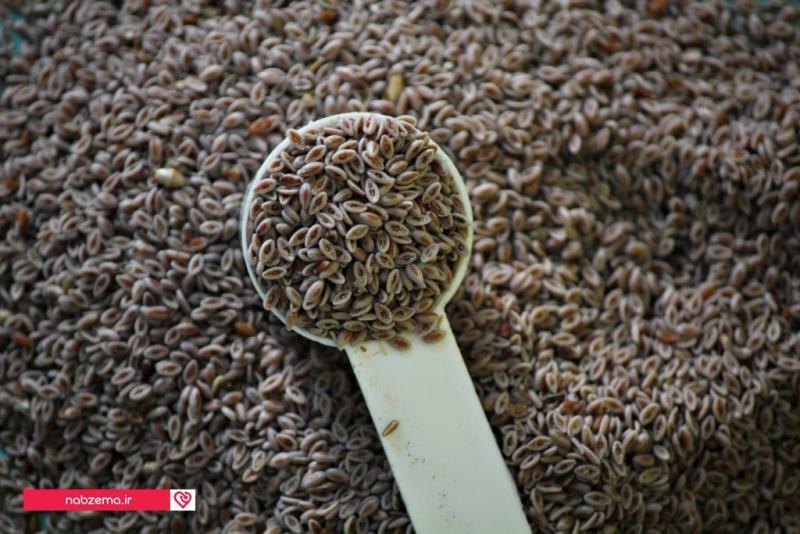 Too bad the initial recipe didn’t give clarifications found later in the notes about mixing in the psyllium – not sure what caused the problem, do you have any insights? This is the second keto bread I tried.. The first one turned out horrible. I tried your recipe and the bread is actually really tasty. The only problem is that it’s still moist inside after 50 minutes… I had to take it out thought cuz it was starting to get brown. Any idea what I could’ve done wrong or I can change to make it nice and fluffy inside? I think maybe lower the temperature a bit in the oven and cook it for an hour or so. This is the first keto bread that turned out perfect for me! Thank you. I always have trouble with psyllium husk powder immediately becoming glue, then I have to mix the heck out of it and it still doesn’t have a great appearance or texture. This time I added the psyllium to the dry ingredients, mixed them a bit. Mixed the eggs and oil in another bowl, tempered them a little with small amount of the “hot” water. While mixing I added the egg and oil mixture to the dry and very quickly mixed and then added the hot water.. quickly mixed and stopped. Baked perfect, took just a few extra minutes, and the top didn’t fall. Just made this. It looked beautiful , then it fell, no big deal, then it fell again to about 1.5 – 2 inches tall. Let it cool completely and it was still kinda gummy on the bottom. Cooked it 40 or more minutes. I used psyllium husk powder. And it wasn’t pretty light yellow like yours. Mine is kinda grey. Haven’t tasted it because it was gooey. Think I will toast it in the morning? It smells like the psyllium. I watched the video several times to make sure it would turn out like yours, but it didn’t. Will try again. I think you might need to cook it a bit more then and I think the husk itself makes a difference it seems. Don’t worry about it falling as all Keto breads are quite short breads they don’t have much height. Just wondering, and my math may be off, my calculations for nutritional value per serving is a bit different (higher) than what is posted. Could you please review the nutritional values? BTW… I LOVE this recipe. THANK YOU for sharing this with everyone! Thanks Tim. I will review it. Might vary a bit because of the ingredients. As long as it’s ball park figure it’s all good. These are my observations – when I try many recipes, it’s helpful to remember these details about each recipe. This bread turned out very well mixed by hand in a bowl and baked in a bread maker (mixing paddle removed). I make pancakes, waffles, tortillas with coconut flour/psyllium/oil/baking powder basis, and everything turns out reliably well. To me, this is a pleasant-tasting bread. Toasting made the slice warm but not toasty. Gravy doesn’t soak in to the slice, but the bread doesn’t disintegrate, either. With this recipe in a 2-pound Oster brand bread maker pan, my loaf was about 1 1/2″. I had no problem cutting even slices sideways for larger sandwich slices. Update: I wanted a loftier loaf, so I baked a double recipe in my 2-pound bread maker. (A dozen eggs in one loaf: a first for me.) All went well. Now I can make lots of sandwich-sized slices. What size bread tin do you use. I think it’s 7 1/2″ length wise one. Hey Will, all Keto bread is short. It’s the sad truth of Keto breads, you will need like a micro tin to make it nice and tall but also remember the bread is very calorie dense so you will struggle to consume large quantities of it which is why this short bread works out quite well. Brother you are the reason I’m switching to KETO after months of analysis, started with grocery purchase. Will be eating your head from now onwards! I just made this bread. The psyllium husk and water was a goo that took alot of beating to break down. It rose alot till I put it on the counter,you could literally see it deflating. I baked it 40 min as per your recommendations on your YouTube. at350. Did I do something wrong ? Looking forward to tasting it. No that’s normal, it deflates quite a bit.